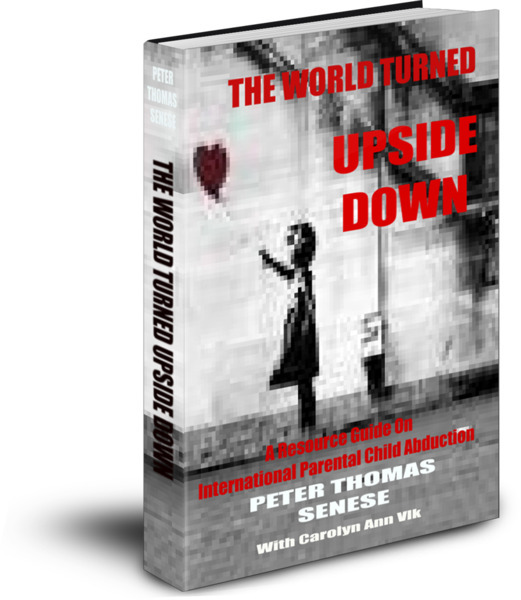 Best-selling author Peter Thomas Senese along with child advocate Carolyn Ann Vlk have announced the official E-book publication release of their groundbreaking international child abduction prevention open-tablet resource guide titled ‘The World Turned Upside Down’. Demonstrating the child abduction prevention advocates ongoing commitment to assist targeted children and their parents against the rapidly expanding criminal act of international parental child kidnapping while also seeking to raise the public’s awareness of the growing epidemic of cross-border child abduction, Peter Thomas Senese and Carolyn Ann Vlk have made the highly informative ‘The World Turned Upside Down’ available as a free E-book to ensure that the information provided is immediately accessible to those who may desperately need it. ‘The World Turned Upside Down’ by Peter Thomas Senese and Carolyn Ann Vlk is a unique and extensive resource guide containing significant and relevant information on international child abduction including a series of landmark research studies that will be of great interest to any individual concerned with preventing either domestic or international child abduction, including targeted parents, law enforcement officers, courts, social workers, lawmakers, and other professionals who advocate for children and who are interested in understanding and preventing this serious and dangerous crime against unsuspecting children. Unique to the child advocates’ efforts, ‘The World Turned Upside Down’ takes shape in the form of a virtual E-book that is expected to be frequently updated with new content, information, and material as relevant and useful information concerning international child abduction becomes available. In essence, ‘The World Turned Upside Down’ (315 pp) is the foundation for what will become a very unique open-tablet cyber-library capable of providing critically important, easily accessible information on international parental child kidnapping to all individuals in need of such information. Co-Author Carolyn Ann Vlk included, “Peter and I have been extremely committed to raising the public’s awareness on the high-growth and seriousness of the crime of international parental child abduction while also seeking to implement child abduction prevention measures such as the state of Florida’s Child Abduction Prevention Act that is now law, or the implementation of the federal ‘Prevent Departure Program’, which is now a widely dispersed and extremely useful tool used to combat international parental child abduction here in the United States. Our present activity includes creating new legislation that will close the significant abduction and trafficking loopholes associated with the ‘Western Hemisphere Travel Initiative’ that clearly has created a black hole on international abduction and human trafficking We’re actively engaged in creating legislation that will hold non-citizen child abductors accountable for their kidnapping crime with respect to our nation’s immigration policy. And we’re actively seeking solutions that will take a stand against dual-passport issues with respect to a child of duel citizenship possessing a foreign passport when this child has been declared a risk for criminal abduction by one parent. The outlook for parents of children criminally kidnapped abroad seeking to reunite with their kidnapped children is tragically alarming. For instance, there are approximately 200 criminally abducted U.S. and Canadian child-citizens illegally detained in Japan right now. In our history, no U.S. or Canadian child who was abducted from either the U.S. or Canada has ever been returned home. None. Ever. Japan is a black hole of child abduciton where no child has ever been legally brought back. Sadly, there are many black holes. The title for the publication ‘The World Turned Upside Down’ was created due to the reality that many parents who are targeted for international parental child abduction enter into a nightmarish ordeal where limited help and understanding is found, and the majority of criminally kidnapped children are never returned. Supporting this reality is Janice L. Jacobs, Assistant Secretary of State for Consular Affairs for the United States Department of State who writes, "Very few options exist for parents and children who are victims of parental child abduction.” Ms. Jacobs also stated, "Unfortunately, current trends reflect a steady increase in the number of international parental child abduction cases and highlight the urgency of redoubling efforts to promote compliance with [Hague] Convention obligations and encourage additional nations to join the Convention." ‘The World Turned Upside Down’ is available for free download on best-selling author Peter Thomas Senese’s official website, the official website of Senese’s ‘Chasing The Cyclone’, and on numerous websites including ‘International Parental Child Abduction Information’. 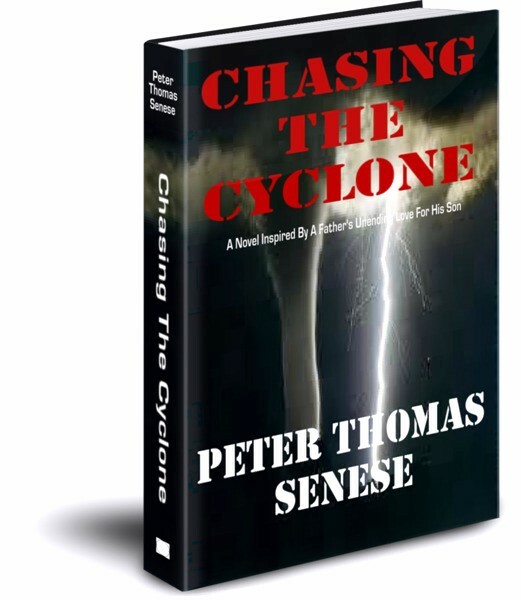 Also available on these sites is the educational documentary film ‘Chasing Parents: Racing Into The Storms Of International Parental Child Abduction’ created and narrated by Peter Thomas Senese, and co-produced by Carolyn Ann Vlk, along with various helpful information. I CARE Foundation Urges Lawyers In Texas, Nevada, Arizona & New Mexico Sought To Join Department of State's "Attorney Network"
The International Child Abduction Research & Education Foundation (I CARE Foundation) has launched a recruitment campaign urging attorneys located in Texas, Arizona, New Mexico and Nevada to join the United States Department of State's Hague Convention Attorney Network ("Attorney Network") - and help protect innocent children victimized or targeted by international parental child abduction (IPCA). Texas, Arizona, New Mexico and Nevada are hotbeds for IPCA due to a significant increase in reported and unreported parental kidnapping cases to and from Mexico and remaining Central America. The Department Of State's recruitment of attorneys in these states is due to the rise in abduction cases, combined with their effort to educate undocumented parents living in the United States who have been victimized by child abduction that they and their abducted children have protective rights under the Hague Convention. 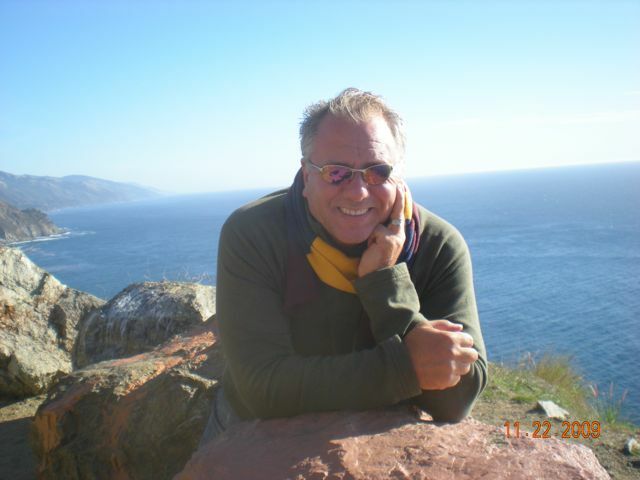 The I CARE Foundation is urging lawyers in Texas, Arizona, New Mexico, and Nevada interested in assisting parents of children who have been internationally abducted or who may be targets of international parental abduction to participate in the Department of State's "Hague Convention Attorney Network" according to Peter Thomas Senese, a director of the foundation. 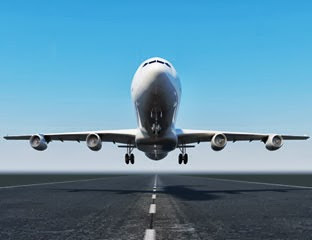 "In order to prevent child abduction, the reality is lawyers educated on the complex issues of international child abduction need to be mobilized within the Department of State's attorney network. When this occurs, there will be significant opportunity to educate a less than knowledgeable judiciary who are too often unfamiliar with the complexities typically present in these cases. Additionally, and of equal importance, particularly in Texas, Arizona, New Mexico and Nevada is the need for undocumented individuals living in the United States to know that if their child is abducted from the United States, they have major recourse under the Hague Convention, and that the Department of State's Office of Childrens Issues is ready, willing, and able to assist them. Presently, there are over 1,640 'reported' cases of IPCA originating from the United States according to the last published report issued from the Department of State to Congress. 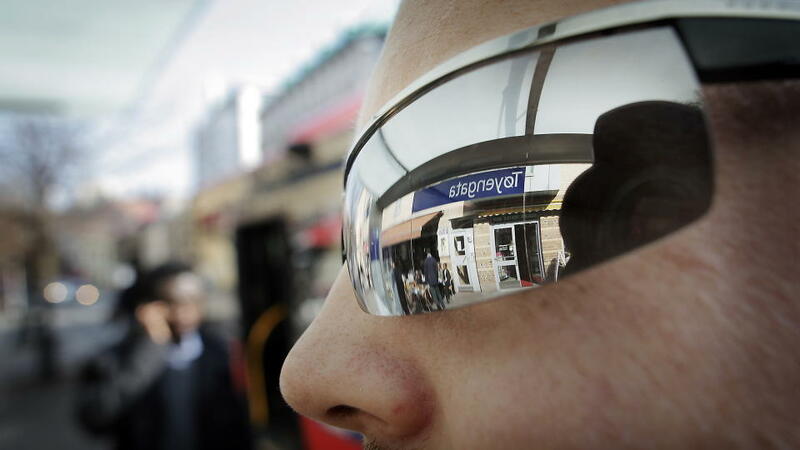 The number of cases has nearly tripled from 2006 to 2009 alone according to a recent report issued by the Government Accountability Office's ("GAO"). According to I CARE, the number of 'unreported cases' of IPCA appears to be substantial and at least equal the number and growth rate of 'reported' cases.. Many of the 'unreported' cases appear to involve immigrants who originate from Central and South American, and Texas, New Mexico, Arizona, and Nevada (along with California) clearly have a high-volume of incoming and outgoing cases. 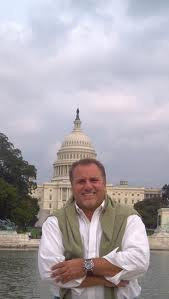 Peter Thomas Senese added, "Overall growth rate of IPCA is conservatively estimated to be between 15% - 20% per year, and there could be well over 100,000 children abducted from the United States between 2009 and 2020 if current trends conservatively stay the same." As the growing rate of abduction and the shortage of trained attorneys becomes more well known, key media voices in the legal community have recently come to support I CARE's recruitment campaign for attorneys to join the Department of State's "Attorney Program." Aware of the growing crisis in Connecticut, the Connecticut Law Tribune(CLT) recently published an important article concerning this issue. Joel S. Walter, an lawyer practicing in New York, a member of the I CARE Foundation, and a Director of the Attorney Network said, "As a lawyer practicing complex cases primarily in federal court for over 30 years, it is astonishing to learn of the tragedies children of abduction and their targeted parents face. In joining the Department of State's "Attorney Network", I have an opportunity to give back to our community, and make a difference in the life of a child. Participating in the network is not just good lawyering, but it is good citizenship. The I CARE Foundation looks forward to assisting the Department of State by educating other lawyers about the attorney network in hope that they too may participate in this critical program." Denise Gunn Garno, a Naples, Florida based lawyer practicing primarily complex family law matters and who is a member of the Department Of State's Hague Convention Attorney Network commented on the significance of lawyers from Texas, Arizona, New Mexico, and Nevada to join the 'Attorney Network' when she stated, "Florida's new CAPA law presents a challenge to attorneys attempting to ensure CAPA is applied in cases wherein children are in imminent danger of abduction. A lack of judicial awareness is extremely detrimental as it puts children's lives in jeopardy. In order for the State of Florida and our nation to protect our children from abduction, we must not only create abduction prevention laws, but the rules of law must be adhered to. 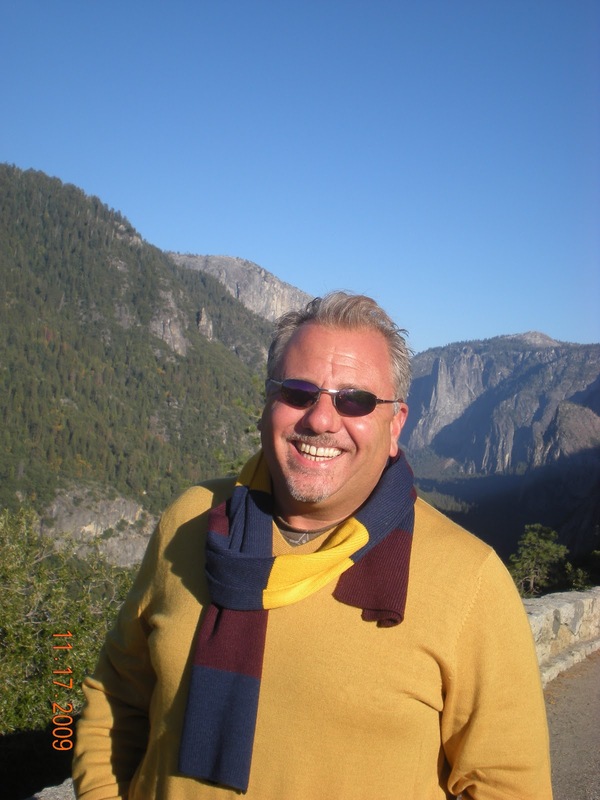 My participation in the Department of State's Hague Convention Attorney Network will make a difference in the lives of my clients and hopefully the children targeted of this crime from my home state." Carolyn Ann Vlk, writer of Florida's CAPA law and a director of I CARE said, "The reality is that laws that have been established to protect children are not followed in part due to an uneducated judiciary. The way to remedy this is to have informed litigators who can make a difference before the courts. Texas, Nevada, New Mexico, and Arizona have a high case load and clearly attorneys are needed by the Department of State to join their "Attorney Network." An extensive report to be published by I CARE this December puts the cost of IPCA in the United States over the next 10 years at over 1.6 Billion dollars. If you are a lawyer interested in finding out more about the Hague Convention Attorney Network, please visit http://travel.state.gov/pdf/AttorneyNetworkFlyer.pdf or call 202-501-4444. 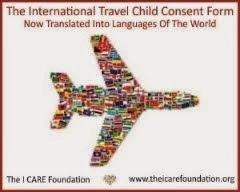 To learn more about international parental child abduction please visit http://www.travel.state.gov/abduction. 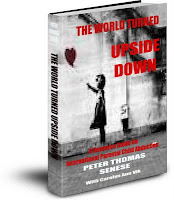 I am very pleased to announce today the free E-book publication of THE WORLD TURNED UPSIDE DOWN: International Parental Child Abduction by Peter Thomas Senese with special contributions by Carolyn Ann Vlk. THE WORLD TURNED UPSIDE DOWN by Peter Thomas Senese with Carolyn Ann Vlk is an extensive resource guide presently 315 pages in length containing significant information and landmark reports and research studies that will be useful for all individuals, including targeted parents, law enforcement officers, courts, and lawmakers interested in understanding and preventing international parental child abduction or human trafficking. What is dynamic about THE WORLD TURNED UPSIDE DOWN outside of the fact that the content and material contained within the book is that THE WORLD TURNED UPSIDE DOWN takes shape in the form of a virtual E-book that is intended to be updated with new content, information, and material as relevant material and information becomes available. In essence, THE WORLD TURNED UPSIDE DOWN is the foundation for a very unique cyber-library with the intent of providing critically important information for all individuals in need of information regarding child abduction. In keeping with my goal of being able to offer to the world-at-large relevant, timely, and important information that may protect innocent children targeted for international abduction, it was my desire to make this extensive publication free-of-charge to all who desire to read it. THE WORLD TURNED UPSIDE DOWN is available online as a free download in a PDF file format. Both Carolyn Ann Vlk’s and my child abduction prevention advocacy is done on a volunteer basis. Making THE WORLD TURNED UPSIDE DOWN free of charge is similar to the free extensive documentary film series titled ‘CHASING PARENTS: Racing Into the Storms of International Parental Child Abduction’ I have created that continues to educate a substantial number of individuals from around the world on the growing epidemic of criminal child abduction. On behalf of Carolyn Ann Vlk and myself, I hope that the information contained in THE WORLD TURNED UPSIDE DOWN will be of help to you.